I've spent many a Thursday night sipping ales in this fine establishment and after suffering it's closure — however brief — once already over the last couple of years, I'm gutted to hear that it's once again fighting for it's life. It's a fantastic example of what I'd consider a 'proper' pub — warm, friendly staff, with the additional bonus of darts, jukeboxes and tv screens available for a bit of light entertainment. The area certainly wouldn't be the same without it. 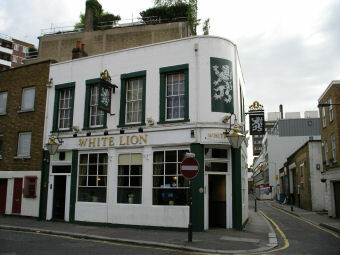 After drinking in this pub for over 20 years our football team has been devastated by it's closure. This pub has been serving all the local teams who play on nightly basis at the Finsbury Leisure Centre for decades. It is a great loss to the community. Please reopen it ASAP! We, as a club have played on the football pitches opposite this wonderful establishment for over 25 years until recently. It has proved a superb watering hole no matter what our results over the years. It's an integral part of the local community and a wonderful example of how a pub and a sporting complex can work hand in hand and contribute to the income of a local area. With a good choice of lagers and always a warm welcome we were so glad that it recovered from the devastating fire earlier this year. It simply wouldn't be a thursday without it.